OPS is seeking applications for the Assistant to the Administrator position. This position is a part-time, year round position at the OPS Museum and Gift Shop. Qualifications include but are not limited to: social media, website maintenance, volunteer management, gift shop experience, program planning and assisting the administrator in the daily running of the museum and gift shop. Applicants should be able to multi-task and have a flexible schedule. Applications will be accepted at the museum and through the mail at P.O. 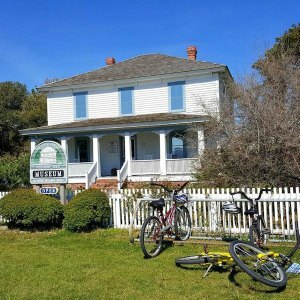 Box 1240, Ocracoke, NC 27960 until April 15, 2019. Please contact Andrea Powers at 252-928-7375 for questions. This position serves as bookkeeper and membership database manager position. This position is a part-time, year round position at the OPS Museum and Gift Shop. Qualifications include but are not limited to: Accounting: Accounts payable and receivable, data entry/QuickBooks maintenance, tax preparation, insurance as well as other bookkeeping duties. Membership database maintenance, general office duties and supportive staff member. Applicant will work closely with the administrator, assistant administrator and executive board treasurer. Applicants should be able to multi-task and have a flexible schedule.